Collect or redeem: Where do mutilated coins go? Owners of mutilated coins are encouraged to return them to the U.S. Treasury or any banks and financial institutions that offer redemption services for uncurrent coins. The numismatists would rather keep their worn or mutilated coins because they see value in them. Those who are not into collecting coins will either throw them or return them to a bank for redemption. Either way, it’s up to the owner, as it is his coin anyway. Still, the U.S. government encourages the American public to redeem their uncurrent and mutilated coins at face value in the U.S. Treasury. In addition to that, many banks or financial institutions offer a redemption service for uncurrent coins. The Bureau of Engraving and Printing in California also exchanges mutilated coins. Uncurrent coins are U.S. coins that are merely worn or reduced in weight by natural abrasion. Still, they remain clearly recognizable and machine countable. The eligibility of a specific coin’s redemption lies within the discretion of the bank or financial institution. Mutilated coins, on the other hand, refer to coins that are bent, broken, corroded, misshapen, melted together, and not machine countable. Banks label coins as mutilated if they are intentionally scraped, bent, or altered and remain just partially identifiable. When faced with these issues, coin owners have the option to send their coins back to the U.S. Mint office instead. What happens to mutilated coins? Just like in any other country, bent, clipped, defaced, and worn-out coins are no longer acceptable in the normal course of commerce. They are destroyed. In the U.S., the governing body responsible for handling mutilated coins is the U.S. Treasury. All unfit coins will undergo melting and recycling. Coin recycling is a common practice among economies to reduce extracted commodity consumption. 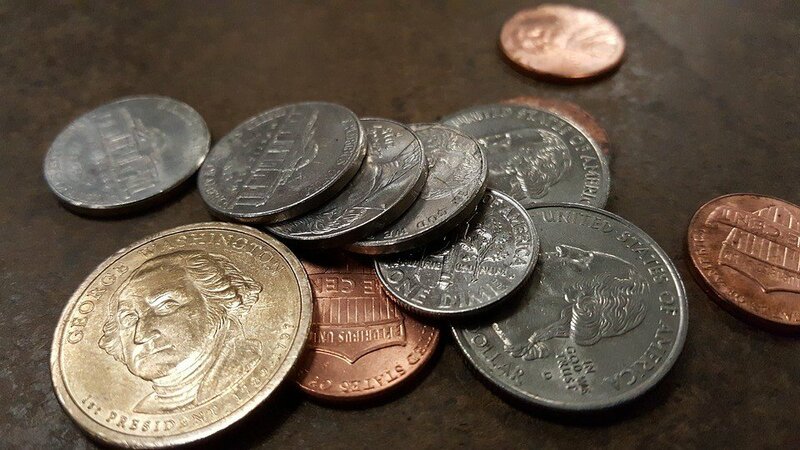 Despite many improvements in coin recycling in the country, experts believe that a large amount of coin presumed to be sitting idle in American homes remain unrecovered. In January 2015, the number of coins circulated across the country exceeded the monthly total from the same period last year by 5.51 percent. The exact production total is 1,529,180,000. The latest monthly total corresponds to the highest monthly total since the U.S. Mint News Blog began tracking the numbers in 2010. Today, the U.S. cent of 97.5 percent zinc and 2.5 percent copper. 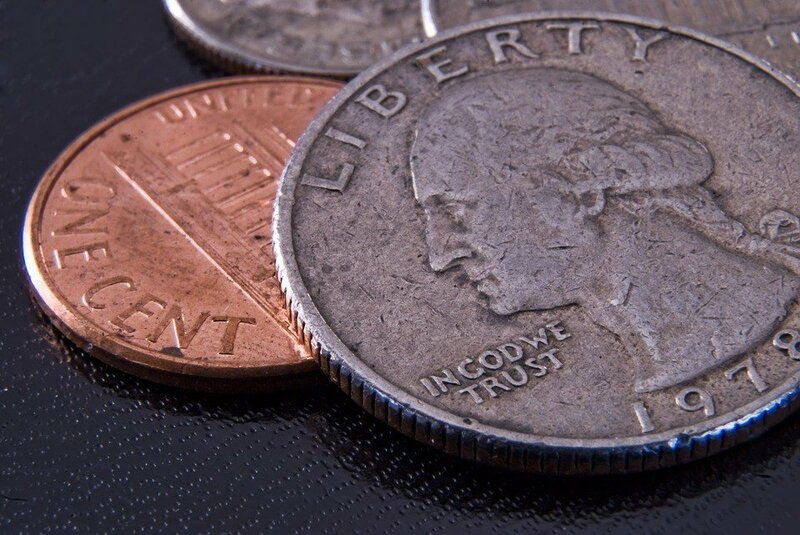 According to the U.S. Mint 2014 Biennial Report to Congress, there are no alternative metal compositions that can reduce the manufacturing unit cost of the penny below its face value. The said Congress report is focused on the research and development (R&D) of alternative metals for circulating coins. However, the U.S. Mint released the second report under the Modernization, Oversight, and Continuity Act of 2010, Public Law 111-302 in December 2012. The plan hoped to change the U.S. coins’ composition to cut production cost. The data showed that the combination 80 percent copper and 20 percent nickel is a possible cheaper alternative for some U.S. coins. The 80/20 alloy is a variant of the 75 percent copper and 25 percent nickel composition which today’s 5-cent coin uses. The U.S. Mint announced that it would be accepting public comments on proposed changes to regulations involving mutilated and uncurrent coins redemption. The proposal aims to amend current Treasury regulations and resolve several “contradictions” confusing American coin owners. Aside from classification issues, the U.S. Mint seeks to update current rates for certain bent and partial coins. It believes that the proposed regulation revisions will finally resolve the issue of whether it will accept fused and mixed coins for redemption. Although, the U.S, Mint suspended its Mutilated Coin Redemption Program November last year. Earlier this year, it added six more months this suspension beginning May 2. “Since that time, the United States Mint has made significant progress in assessing the current state of the program, evaluating risks, and identifying potential remedial measures Additionally, the United States Mint has engaged the services of an independent contractor to assist us in these efforts,” the April 29 Federal Register notice says. SEE ALSO Are there any risks to making a Bitcoin investment? In the meantime, individuals and even companies continue to accumulate worn and mutilated coins. Many of them plan to redeem those once the blanket moratorium ends.